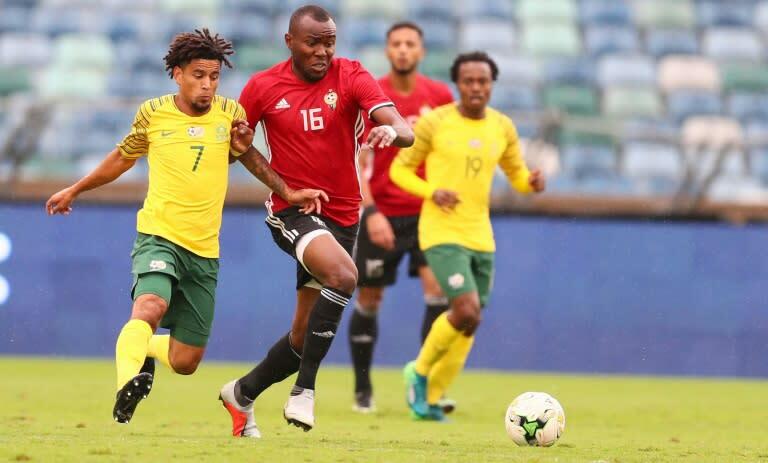 Libya forced a 0-0 draw with South Africa in Durban Saturday to remain surprise Group E leaders in the 2019 Africa Cup of Nations qualifying competition. "Only football can bring the people together," said the 50-year-old former coach of Equatorial Guinea, Burundi and Kenya. "I am not coaching Libya for money -- I want to help bring happiness to the people by taking the national team to the 2019 Cup of Nations finals in Cameroon," said Amrouche. "We battled to gain possession against physically strong opponents and then surrendered the ball too easily at times," admitted England-born South Africa coach Stuart Baxter.